Mechatronics fault diagnostics, repair, overhaul, testing and settings. Electronics, mechanical and hydraulic services for automotive mechatronics. repairs, overhaul, testing and settings. 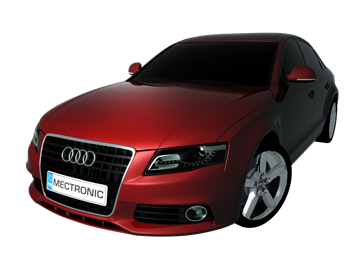 MECTRONIC provides services to the vehicle mechatronics, by doing fault diagnosis, repair, overhaul, testing, and basic settings. Especially, we have focused on the mechatronics units of VW, Audi, Skoda and Seat DSG / S-Tronic transmissions. For all new mechatronics units we will give 1 - 2 year VW spare part warranty. We have a long engineering expertise and technical know-how in the field of automotive, industrial, research and product development and in addition our diagnostic equipments are leading high-technology products. Check out the links !